On June 16, 2006, at the age of 81, Clifford Lala coordinated the surrender of the man holding him hostage. He woke up that morning and walked into his kitchen to find an accused murderer pointing a rifle in his direction. With his hands and feet bound, Clifford Lala was thrust into an ordeal that often ends in violence or death. But Mr. Lala’s actions that morning prompted the best possible outcome from such a horrible situation – the perpetrator’s full, unconditional surrender to the police without a single shot fired. With heavily armed police forces surrounding his River Ridge home, what did Clifford Lala do to help prevent a potential disaster? And equally important, what life experiences guided his behavior and actions? Clifford Lala’s life presented two important gifts: the confidence to remain calm in dire situations and the ability to read people. These are skills that can only be learned with age and experience. Mr. Lala was obviously a brilliant student at the school of life. Consider his actions that fateful morning. Experience taught Clifford Lala to avoid any indication of fear or anger – anything that might ignite the situation. Instead, he spoke to the man as a human being. He spoke to the man with compassion. He even gave the man his cell phone to call his parents. And through the wisdom of his years, Mr. Lala was able to redirect the man’s thoughts from death to life. With lessons learned through time and experience, a hero prevails. 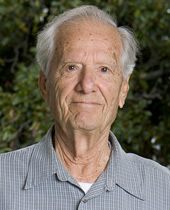 Clifford S. Lala … Peoples Health Champion.